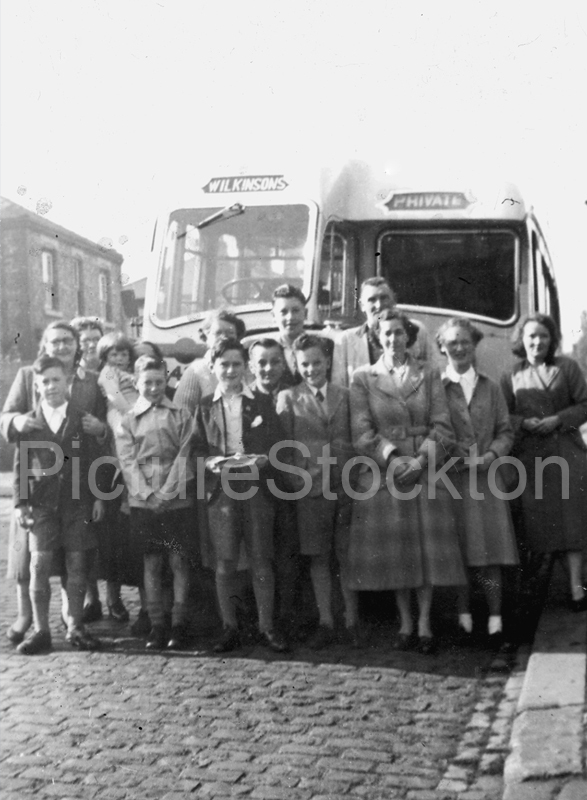 All ready for a school trip, pupils from Oxbridge Lane School c1955. I went to Oxbridge infants then juniors from 1956 to 1962 and can’t ever remember going on a school trip, was this for when seniors were there?. The only times I can remember being taken out from school was to see a play? at the Corporation Hall. Possibly other schools attended at the same time, before the curtain went up and because the hall would be full of noisy kids to get everyone quiet a member of the cast would start saying Cuckoo and repeating it till everyone was quiet. Funny the things you remember, does any body else recall this?. Do you remember Jackie Beall? I was in the same class as Jackie and Janice Beall when the junior boys and girls amalgamated then I was in the same class as Jackie throughout the seniors at Fairfield Sec Modern. She went on to be Head Girl. I remember her to be very athletic. Dave. Janet – Jackie and Janice Beall, definitely went to Oxbridge then Fairfield Secondary Modern. I have never seen either of them since leaving school in 1966. Although I don’t live in the area but visit as often as possible and because Stockton is not that big and through the grape vine and their brother who I don’t know but often writes on here, I know they both live in the Hartburn area near the Penny Black. Also one of them is married to a policeman (who will be retired now if he is the same age as them ). Hope this info helps you?. Yes it does. Just need to know if J went to Brunswick Guides for ID. Janet – Jackie was school secretary at Blakeston for quite few years before it was demolished and that is why it is referenced on Facebook, Jackie married James Wood who was a policeman and Janice married Giles Young who was also a policeman. Does anyone know the names of the teachers on this photo? Especially the lady third from the right. I noticed that the coach belongs to Wilkinson. Mr and Mrs Wilkinson were friends of my Mum and Dad. They lived at 100 Buchanan Street in Stockton and, by that time, had sold the business but it continued to trade under the same name. They were better off than us so owned a TV. As a treat they invited me to the house to watch the Coronation of Elizabeth II in 1953. I was 11 and was about to go to Newham Grange School, a good school under a fine Headmaster, Malcolm John Beaver.